This Easter we’re teaming up with Puddle Ducks, to cheer up the children at Bristol Children’s hospital. Every year Puddle Ducks, who offer childrens swimming lessons across Bristol and Bath, visit the children’s wards and cheer up the children with their fun duck mascot and lots of goodies. 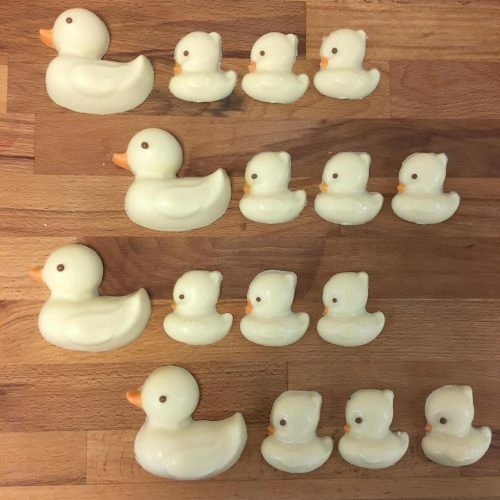 This year Louise our Tutor and Chocolatier has hand crafted dozens of luxury white chocolate ducks which will be handed out to the children next week.